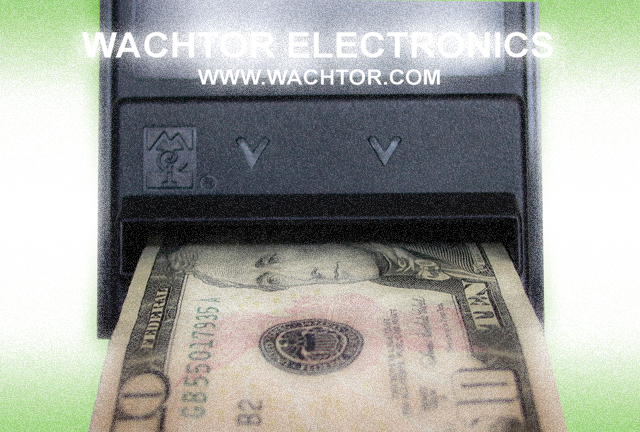 Welcome to Wachtor Electronics, where we pride ourselves in the repair and sales of bill validators and coin mechanisms in the vending, retail, and gaming industries. We stock and distribute CPI (formerly MEI or Mars), Conlux and Pyramid coin mechs, bill validators and recyclers as well as USAT telemeters. We are the mountain west distributor for AMS and Vendo Vending machines and the authorized sales and service of American Changer, Rowe and Standard Changemakers changers. Wachtor Electronics is proud to support the New CPI Talos, Gryphon and Synq products. The most innovative technology in cash payment system acceptance and diagnostics are here now. Get better acceptance, improve reliability and improve your technicians ability to troubleshoot in the field with Synq - mobile diagnostics with how to repair videos from CPI. Contact Wachtor Electronics and get on board today! - We do in house service of complete dollar bill changers making them pay change like they were new again. We can convert them to CPI, the best bill acceptor on the Market. - We service and repair vending machines. We do in-house repairs and carry a large stock of parts to service and update vending machines. We can repair compressors, Vendors Exchange upgrade boards (UCB), install LED lighting and credit card readers, do complete overhauls and everything in-between. - We do onsite service. We have a dedicated service technician that can come to you.